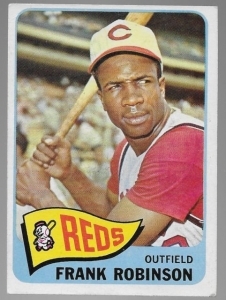 Frank Robinson has one accomplishment that no other baseball player can boast about: He is the only player in history to win MVP of both the American and National Leagues! But wait…there’s more! Robinson was also named Rookie of the Year, was a 2x MVP, a 14x All Star, a Triple Crown Winner, a World Series MVP, a 2x World Series Winner, and currently sits tenth on the all time home run list (586), he drove in over 1,800 runs, stole 208 bases, and had just shy of 3,000 hits! He was inducted into the Baseball Hall of Fame inn 1982 and is currently the Honorary President of the American League. In addition, Robinson was also became the first black manager in the majors when he coached the Cleveland Indians the last two years he played. He also went on to coach the San Francisco Giants, Bsltimore Orioles and the Montreal Expos/Washington Nationals.